Our daughter, Kelly, was born with Fibular Hemimelia. We were told by numerous orthopedic surgeons that we should amputate her right leg at the knee. We were lucky enough to meet with Dr. Dror Paley, and now, 17 years later, we have made the journey through several limb lengthening and deformity correction procedures. The end result is truly remarkable. Kelly stands 5'4” with equal limb lengths. She is a happy and healthy teenager with full function in the affected leg. She has learned that sacrifice and hard work can truly pay off, as she was able to gain almost 1 foot of height in her right leg. There is no doubt, without Dr. Paley, none of this would have been possible. His amazing expertise and true dedication have made what others said was impossible, a reality for Kelly and us, her family. 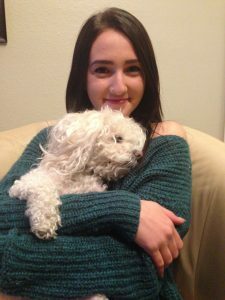 Now, as she looks ahead towards her college years, she will be ready to leave home with a tremendous sense of accomplishment and memories of all the wonderful people she has met, both staff and other patients, through the Paley Institute.